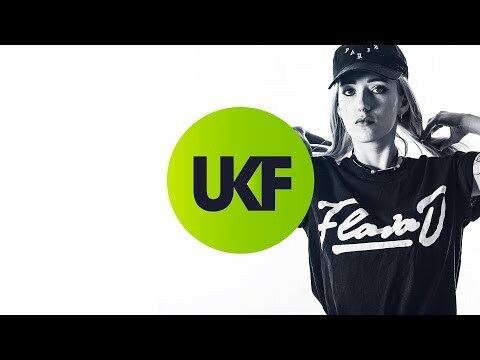 It seems like every year has been a banger for Flava D since she broke through on Butterz in 2013. But this year has been especially remarkable for the Bournemouth-born bass artist. 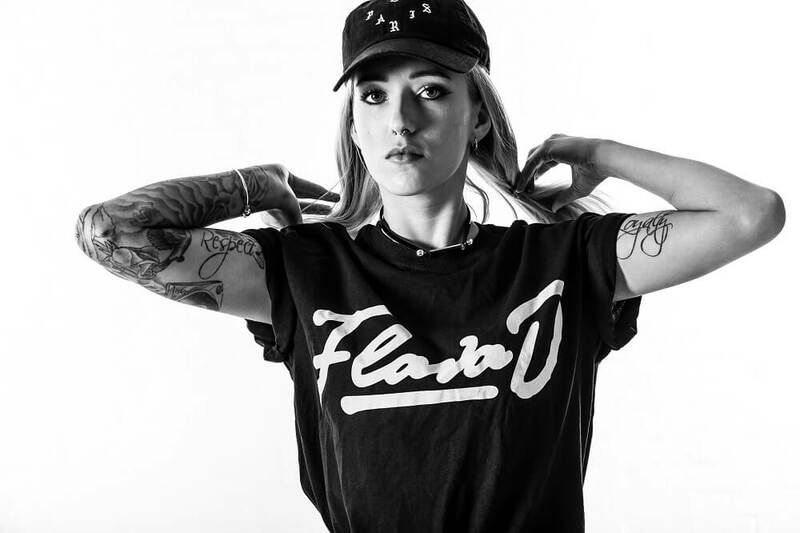 Currently in the thick of another nonstop summer schedule, Flava D is in the position that most producers dream of; she’s able to show her full musical spectrum of influences, inspirations and direction with pigeonhole-shattering consistency and clarity. Her current role commanding and curating XOYO’s coveted Friday night residency session is a perfect example. Representing every corner of her musical psyche, guests over her 13 Weeks, 13 Flavas series range from grime to deep D&B while Flava celebrates the different style of every night in her own sets. 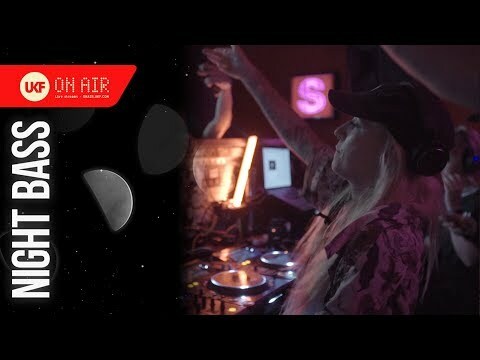 There’s also been her debut D&B set at Hospitality On The Beach earlier this summer and there’s the case of the TQD Takeover sessions that she and fellow TQD bandmates Royal-T and DJ Q are beginning to curate and host at events. Their first takeover happens at Eastern Electrics with the likes of Conducta, D Double E, Chris Lorenzo, Elijah & Skilliam all joining the bassline trio in Morden Park, London this Saturday for a serious cross-spectrum bass celebration. Flava D’s unapologetic multi-genre mission is also felt in releases such as January’s More Love 2. An album-sized bundle of vibes that ranges from house to R&B via classic UKG, it’s Flava at her deepest, most eclectic, most personal and most humble as she salutes all fans who’ve helped her make sure every year has banged for Flava D since emerging five years ago. I saw on Insta that you sometimes take your mum to shows. Have you taken her to any more gigs recently? I have! I took her to Ayia Napa last week and we had a couple of days on the beach. It was really nice. Anywhere that’s really hot and nice, I try and take her because we don’t usually see that type of weather here. It’s nice to show her what I do as well, she loves it. She’s an old school clubber anyway. What was the soundtrack she brought you up to? A massively mixed bag. Especially in the car on long journeys. My mum always played a lot of trance and euphoric stuff, my auntie is a proper old school garage head and would have a lot of the tapepacks back in the day. EZ, MJ Cole, Artful Dodger, all that stuff. My dad was more into acoustic stuff like Crowded House. There’s so many influences to be honest. I have to say old school hip-hop, early Nas, J Dilla, Pete Rock was a big influence on the soulful side of what I do. All those different genres mixed, you can’t help but be influenced by the music you love, it shines naturally through your productions. They’re not official albums, they’re full of samples so I can’t sell them, but it’s nice to do something and say thanks to fans who’ve supported me and also show a little bit more of what makes me musically. I try to do it every New Years Day. I’m really proud of this years; it’s got more sides to me like R&B and house. I’m always surprised at the feedback they get. People always ask about this side of my work, they ask about it at shows or send messages about how the music has struck a chord with them. It’s my most natural musical side, so that’s always really touching to experience. Have you had any messages from people that have blown your mind? Like how deep your music has touched people? I’ve had a lot, yeah. Any positive message is really nice and fulfilling but one that stands out was a girl who came to one of my gigs who told me my track Happy with Miss Fire kept her going through a very traumatic time during which she was very close to committing suicide. She told me my track helped her think differently. That blew my mind. You never think you’ll make such a deep connection with someone when you’re making tracks in the studio. Absolutely. It reminds you how worthwhile this all is. Definitely. 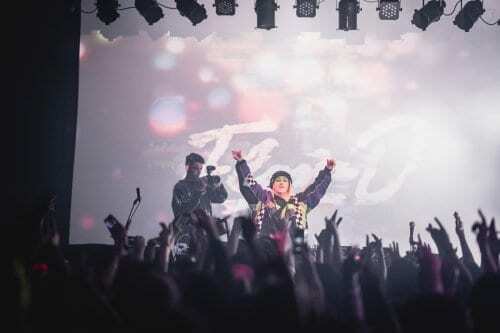 It wasn’t easy putting those line-ups together with festival season and exclusivity around bookings and all those kind of challenges, especially because each night needs to work musically as well. But it came together and we pulled it off. I’m so happy with how each night is a different style. Hospital Mix Volume 1. It had this green mustardy cover. It was a really simple cover but it intrigued me. I went back to the same charity shop and they had Hospital Mix Volume 2 and Hospital Mix Volume 3. I bought them both there and then. That was the start of my love for drum & bass. Was there a point when you’d have started as a drum & bass artist and not as a garage one? I don’t know. Probably not. My earliest productions were all bassline, grime and hip-hop and that was the path I was following. But I played my first full D&B set at Hospitality On The Beach the other day and it felt so good. I thought ‘why haven’t I done this before?’ I was so deep in the garage and grime sound I gravitated towards that. I think when you’re doing drum & bass you need to do it so well. I never wanted it to sound like ‘she’s trying to make a drum & bass track’ but much more like ‘okay she knows what she’s doing’. There’s a worry of it looking like I’m trying to crossover like a cheap attempt so I won’t put anything out unless I’m absolutely happy with it. The drum & bass fanbase is very protective and I don’t expect them to even register what I’m doing unless I get it as good as I possibly can. How was Calibre’s set at your XOYO residency? He killed it! I’ve loved his music for years but never seen him play before. It was amazing and I learnt a lot from it. Everything was different about that night; he attracted a different age range of fans and the way he plays is just so clever. He never takes it too hard yet the crowd are still screaming. It was beautiful to listen to and insightful to observe. Everyone was so into the music, barely anyone on their phones trying to catch a drop. It was very inspiring. I actually went home that night and wrote a drum & bass tune. Without that night that track wouldn’t exist. Yeah 6am, I got straight on it. Very inspiring. Amazing! I love how Calibre can turn a cheeky roller into something heavy hitting because of the vibe of his set. It doesn’t have to be hard music to hit people hard. Definitely. I know jump-up is massive right now but I can only handle elements of that. I much prefer the soulful, deeper side. I think people who only know you from the heavier bassline stuff and TQD might be surprised at you saying that. Yeah they’re very different musical roles. People know what they’re getting with TQD; big drops, very energetic and rowdy. But with my Flava D sets I think people know I’m going to go deeper, more vocal, more soulful and pace myself a bit more. I go for the rule that if it makes me dance then I’ll play it. I try and cover a lot more styles for the girls and boys, the heavier stuff, the deeper stuff. It’s cool; when I first mentioned about making drum & bass on Instagram people were really encouraging of it. You did that track for Boiler Room which ended up being a D&B track, right? Yeah that’s when viewers sent in samples. That was a cool challenge. I think I work quite well under pressure when it comes to making something on the spot. I do like to have something in my head that I can make than just free-flowing on the spot and hoping for the best. That’s the way my mind works. There’s no right or wrong way when it comes to making a beat, right? No there isn’t. I’m working on my debut album at the moment and I’m getting the chance to collaborate with more people and will have a chance to ask them how they make things from scratch. Whether they have it in their head or if they go in and just experiment. It will be really interesting. Yeah this was another wicked thing to curate. Everyone is our mate on the line-up. D Double works so well with us, he knows our tunes and knows how we work. We never have to plan ahead or anything. All the guys on the line up are fun and we know work well and we love to party with. I think you can feel that in the crowd as well. I love those guys! It is definitely a vibe thing. Some people lift you up a level and you buzz off each other. That’s why TQD exists and that’s why we work so well with the Leng boys. The crowd can see you’re having the time of your life and that’s infectious. When the DJ dances, the crowd are more likely to. A DJ staring at a mixer is a massive put off. So putting together line-ups has been a big theme for you this year hasn’t it? It’s been amazing to have this opportunity and set an example. I play on a lot of line-ups when it’s a very similar sound all night long. It’s very hard to go ham to just one genre all night. You need to mix it up and bring in different styles. Variety is the spice of life, as they say, and it makes for a much more interesting and exciting night. I can’t rave to just bassline all night, I want to hear the widest possible range I can and hopefully with nights like these and the XOYO residency we’re showing that it’s possible. I hope people are enjoy it as much as I am!